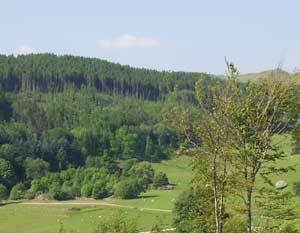 We are now able to offer holiday accommodation at the heart of Hafod's renowned picturesque landscape. This delightful and historic cottage, sleeping 6 people, is a perfect retreat from modern life, accessible only by quiet forest tracks. A Listed building, retaining many original features, it occupies a sheltered, south-facing hollow beside a pond, just 500m from the site of the former mansion. 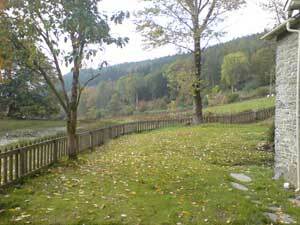 The Afon Ystwyth is 10 mins. 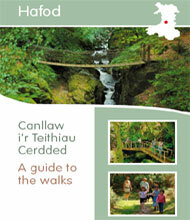 walk away, with four different streams cascading down steep hillsides to the river, creating Hafod's famous waterfalls. One of the restored 18th century walks, the Lady's Walk, passes in front of the cottage, and there are miles of scenic walking in every direction. 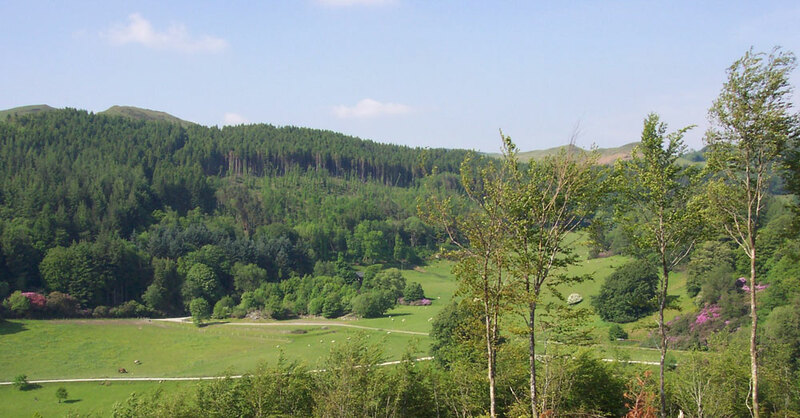 It is a perfect place for observing red kites, which regularly nest as Hafod, as well as other raptors and a great range of wildlife. Close by are attractions for every taste, from nationally important nature reserves to mountain bike trails. Devil's Bridge and the spectacular Rheidol Gorge is 4 miles away, and the stunning Elan Valley lakes just 12 miles away. The seaside and university town of Aberystwyth is 15 miles distant; it has a theatre, concert hall, three cinemas, galleries and a museum, and also a good selection of shops and other entertainments. The beaches of Cardigan Bay and the unspoilt Georgian harbour town of Aberaeron are also within easy reach. 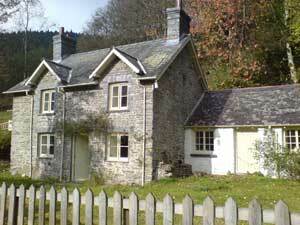 Nearest village, Pontrhydygroes, 1½ miles: shop and pub. 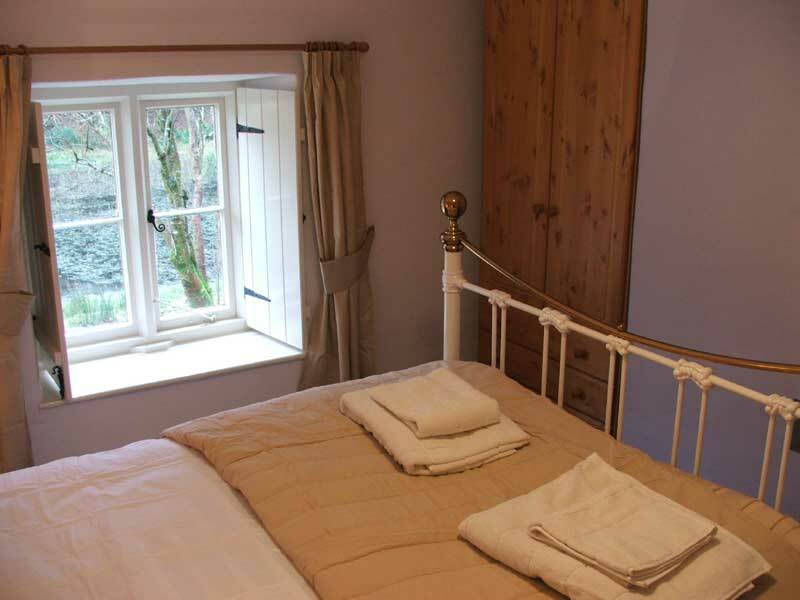 Two bedrooms + studio bedroom on ground floor. 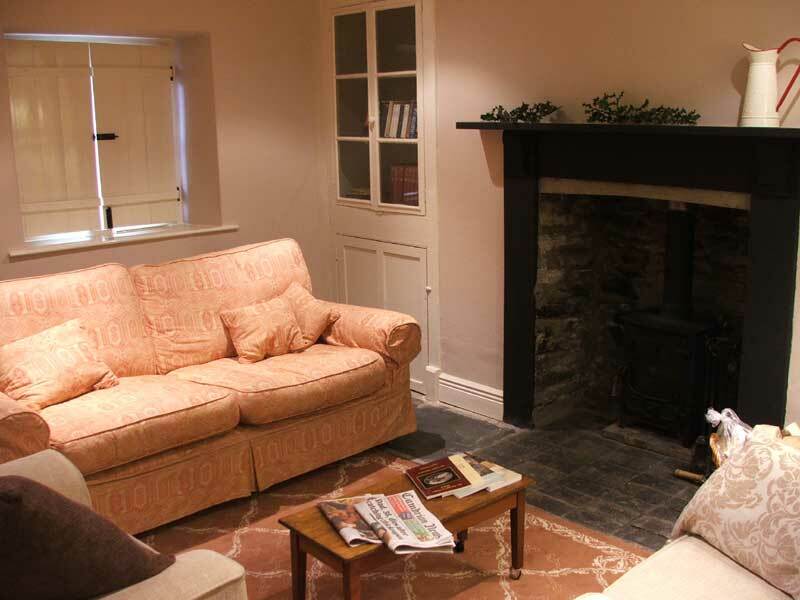 Sitting/dining room with original slate floor, free wifi, wood-burning stove; two steps and narrow door to single-storey wing containing kitchen, TV room/ studio bedroom, with double bed and downstairs cloakroom. Stairs from sitting room to first floor: one double bedroom, one twin, both with views over fields and pond; bathroom / WC, with electric shower over bath. 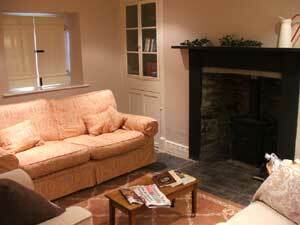 Heating: electric storage heaters + immersion heater; wood-burning stove. First basket of logs provided free; electricity is included. Level lawned garden at front, large, partly wooded hillside area to rear, with path and steps to private parking place (room for two cars). Please note that the parking is 150m away, up a slope with 30 steps. Parents of small children please note: the garden is fenced but the pond is just outside the front gate, and there is a laburnum tree (poisonous) inside the garden. Not suitable for the infirm; no smoking; one well-behaved pet only. Dogs must be kept under control at all times: the cottage is in the middle of sheep pasture. Cot (no bedding) and high chair by arrangement. There is no mobile phone reception at the cottage, nor within several miles radius. If you require further information, please telephone 01974 282568.